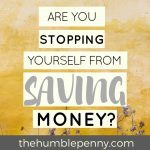 The last time I wrote about my philosophy on saving money, a couple of people replied and asked how they could make enough to save in the first place. 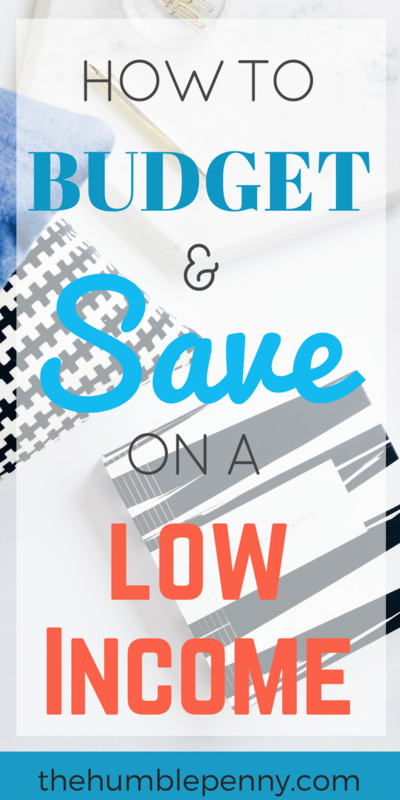 This has led me to consider how one can budget and save on a low income. I appreciate that what we all consider to be a low income differs and by country. However, let's assume for simplicity that we have a general understanding of what a low income is. This might in fact be your current reality. As such, I am very sensitive about this subject and I have spent alot of time thinking about this topic, speaking to a few people and taking myself back to when I had this exact problem. 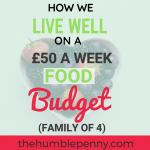 An interesting point to note is that the challenge of budgeting and saving doesn't just affect people on low incomes, but also those on high incomes. However, those on low incomes have a unique situation, which although is difficult, should also be envied. Those who can be faithful with little will be joyful in much. I don't know where you might be in your life journey, but if you believe and live this saying, it will serve you well when alot of money walks into your life. There is something comforting and hopeful about this saying. It's pretty much a promise that better days are ahead. With this in mind, you're in a place of envy with a small income compared to someone who is already on a large income and yet cannot budget and save. 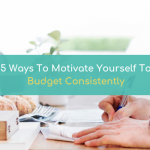 You have a unique opportunity to start putting into practice what you're learning now that you only have a small amount of money to manage. The saying Mo’ Money, Mo’ Problems from the philosopher, Notorious B.I.G, exists for a reason. People with such problems partly did not master the little they had, and as such, cannot deal with large sums when exposed to it. I can tell you this straight from the heart because I have lived in the UK on very low to no income as a starter immigrant. I talk about my days as an immigrant to encourage those out there still in those situations. As well as to tell those just above water but without immigrant challenges that there is a way out! Saving money is that way out, and in my experience, it is best achieved with the active process of budgeting. In Dan Ariely’s must-read book, Small Change: Money Mishaps and How To Avoid Them, an interesting experiment was conducted in a village in Kenya. The people in this village earned such a small amount of money that they can never conceive the possibility of retirement. 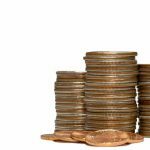 Given their low incomes, emergencies can be very costly as people typically have to either sell some of what they have to raise money or they borrow. Such people practically live life on the edge, and this life is comparable to that of many people in the West. A number of interesting experiments were conducted to see if these villagers the unique problem of a low income (and no possibility of earning more) could save more money. In the old world, before money existed, people bought goats instead. One person could compare his/her herd of goats with another person. Goats represented people’s wealth in the form of savings or investments, and comparing one’s wealth to another was easy. Money then came into the world and changed the dynamics and purpose of our money spent. We stopped caring about saving or investing. Today, what’s interesting to observe is the things we should not be doing are visible e.g. spending money on stuff. Whereas the things we should be doing are invisible e.g. Saving or investing or buying insurance. This is a fascinating idea when you think about it. Some of our most important economic activities are invisible. The question is, how can we make saving and investing visible enough to motivate us to do it more? In the experiment, putting down simple markers on a wall each time a family saved money was a strong motivator to want to save more money. Even getting children to remind parents weekly on whether they have saved for their future also served as another important motivator. Changing the focus to making our invisible activities more visible helps us control our impulses to spend, and rather budget to save/invest. Another motivator that forced the people in the experiment to save more was the need to induce a shock that resulted in the desired outcome. A good example was where the breadwinner knowing the family had a small income would deliberately take a portion of that income and purchase a small investment or insurance product. In this example, people used some of their income to buy funeral insurance and the like in order to reduce the future burden on their families. The result of doing this is that it forced families to survive and live on what is left over. Sometimes in our lives, a little shock here and there is what is needed to change our behaviours given our circumstances. There is no reason why the same approach cannot be practised in your life by forcing a portion of your income to be invested in life insurance or a broad-based index fund. Our environments play such an important role regarding how complex our lives become or not. The simpler the environment, the less one has to worry about, and the better life is. It’s for this reason that minimalism has become very popular. Having had the benefit in my personal life of being born in a remote village, I can truly say that the environment of simplicity that I grew up in resulted in less financial pressure. Replicating these simple needs in our lives and truly focusing on them is one way in which someone on a low income can save. Note that this knocks out the need to have or aspire for cable TV, expensive cars, excessive holidays, gym memberships, new phones etc. The focus on these basics needs, will not only help you reduce waste in many ways, but it will give you more time in life to focus on your self-fulfillment needs. The landscape of how we interact with and relate to money is ever-changing, with the credit card playing an ever more dominant role. Does it matter whether you pay by cash or by credit card for anything? Given we spend the same amount, there surely is no difference? Studies show that our willingness to pay increases when we pay by credit card rather than by cash. We make bigger purchases and pay more on average. This also leads to us possibly forgetting we have made a purchase or underestimating it. If you’re on a low income, I’d most certainly recommend that you forget the credit card as a mode of payment. Ofcourse, credit cards have their benefits, however, the inability to manage cash flow is the number one reason most people are broke. Credit card providers know of this inability and make it even easier for people to pay. 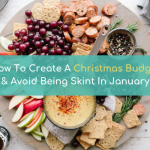 Don’t fall for it if your desire is to budget and save better. In the earlier experiment, one important takeaway is the impact that changing accessibility to money had. The easier you can make it for you to save and the harder you can make it to access, the wealthier you’ll become. In the Kenyan experiment, residents needed to travel from one town to another in order to access their savings. This acted as a sufficient demotivator from spending the little people might have had. A good extreme example of this is the pension system in the UK and in most countries. Paying into a private pension and with no access for possibly decades is not only good for you but is necessary. To conclude, a low income is no excuse for being unable to budget and save. It is certainly more challenging, however, understanding the psychology related to money is an important step towards making better decisions. 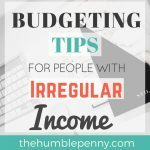 What are you doing to ensure you budget and save no matter your income? Please share your thoughts in the comments below. Some worthy goals there 😊. Saving money is tough, no doubt. Sounds like you’ve got an effective approach there though. Do pls keep me posted on how you get on with some of these goals.